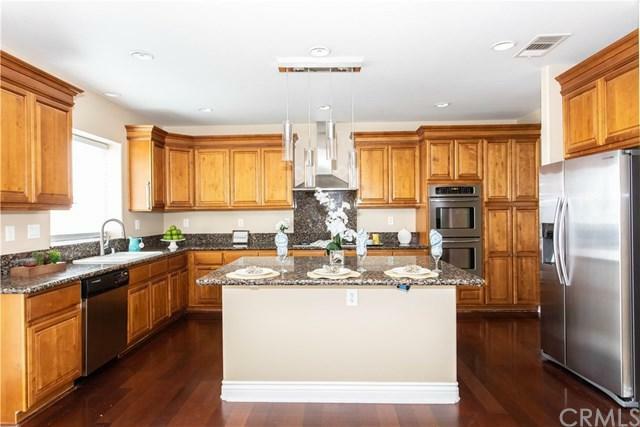 Gorgeously Upgraded Family Home in a New Community with Million Dollar Views! Inviting curb appeal with a long driveway, and easy-care turf front lawn. Upon entering the home, you are instantly greeted by warm neutral paint, custom iron staircase, and absolutely beautiful real wood flooring throughout. The spacious formal living and dining room flows directly into the open ChefÃƒÂ¢Ã¢â€šÂ¬Ã¢â€žÂ¢s Kitchen and living room complete with cozy fireplace. 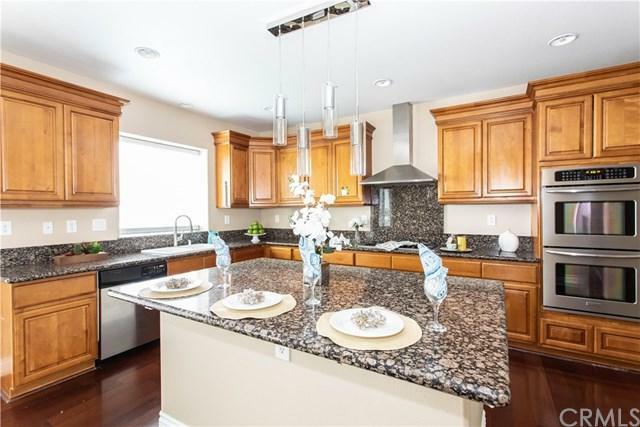 This gourmet kitchen offers all the high-end upgrades including granite Gorgeously Upgraded Family Home in a New Community with Million Dollar Views! Inviting curb appeal with a long driveway, and easy-care turf front lawn. Upon entering the home, you are instantly greeted by warm neutral paint, custom iron staircase, and absolutely beautiful real wood flooring throughout. The spacious formal living and dining room flows directly into the open ChefÃƒÂ¢Ã¢â€šÂ¬Ã¢â€žÂ¢s Kitchen and living room complete with cozy fireplace. 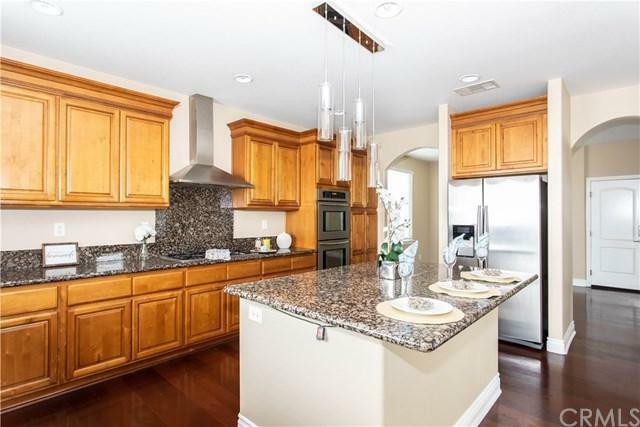 This gourmet kitchen offers all the high-end upgrades including granite counter tops, upgraded cabinetry, double oven, stainless steel appliances, and large island with plenty of room for seating. Upstairs you will find the ultimate master retreat with a separate living space, offering a private balcony, fireplace, large walk in closet, and private ensuite complete with custom tile flooring, custom tile shower, soaking tub with spectacular views, stunning granite, and upgraded cabinetry. Spacious bedrooms, upgraded bathrooms, ceiling fans throughout, and laundry room complete the living quarters. 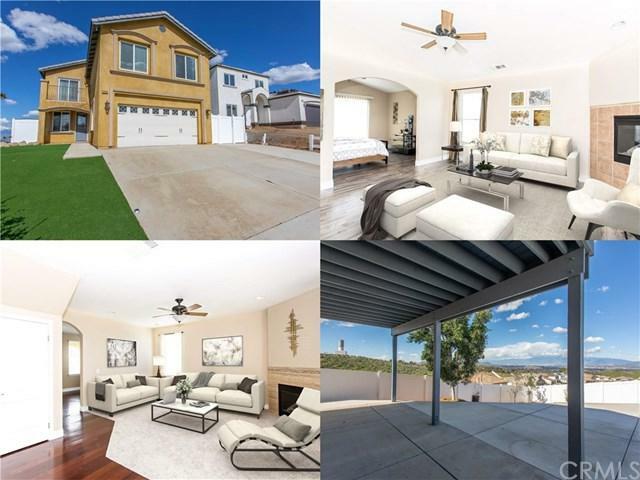 This must-see home offers a large backyard offering amazing mountain views, private vinyl fencing, and a custom covered concrete patio space. Listing provided courtesy of The Blake Cory Home Selling Team. Listing information © 2019 San Diego MLS, Inc.